The Philadelphia region has its share of all-gluten-free restaurants, but it's always noteworthy when this group gets another member. In this case, it's nearly two. 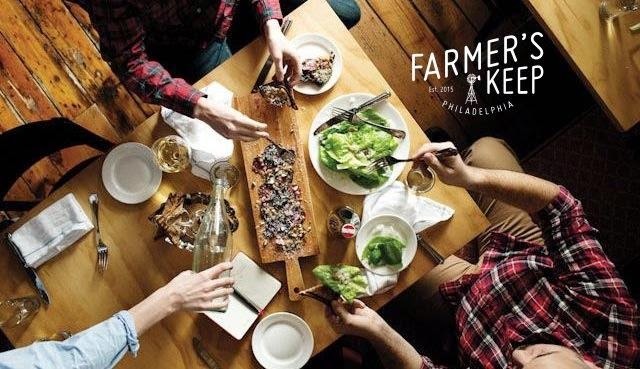 Opening next month just off of 20th & Market streets in Center City Philadelphia is the fast-casual Farmer's Keep (10 S. 20th St., 443-480-1060). Not only will everything at Farmer's Keep be entirely gluten free, but its menu also won't have any dairy, egg, nut or shellfish ingredients. Diners will be able to walk through the line and choose as much or as little as they desire, then pay by weight for their meal. In addition to offering 5-6 proteins daily (items like black pepper tofu and Adobo flank steak with chimichurri sauce), Farmers' Keep will also have as many as 30 composed salads and sides (with an array of fresh fruit, vegetables, grains and spreads) rotating weekly. Owner Josh Bullock will source local, all-natural and organic ingredients as much as possible. Guests will be able to dine downstairs or on the rooftop deck (come summertime) for lunch and dinner seven days a week. The rooftop bar will offer gluten-free wines, beers, ciders and cocktails, along with fresh-squeezed juices. Bullock plans to complement the food and beverage service with activities such as yoga and Pilates, cooking classes focusing on healthy eating, and movie nights. 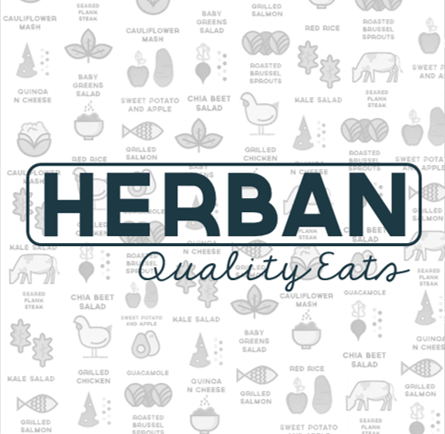 A few blocks down the road, Herban Quality Eats (267-432-2445), is planning to open a brick-and-mortar location at 3601 Market St. in September, according to Philly.com. In the meantime, Herban delivers freshly made dinners and catering throughout the University City area (including west of 18th Street) on weekdays. At Herban (pronounced "Urban"), diners can choose a base from options such as Himalayan red rice, spaghetti squash and Tuscan kale, and then add in grilled chicken, grilled salmon or other proteins along with a sauce. Available sides include quinoa and cheese and sweet potato mash. The only menu item not currently gluten free is the chocolate chip cookie, which is made with non-certified oats. Like Farmer's Keep, Herban's culinary philosophy focuses on nutrient-rich foods and locally-sourced and natural ingredients.